As I was touting and extolling the virtues of going to see ARC Dance Company’s “Summer Dance at the Center” repertory program and doing my best to explain what ARC is — a chamber-sized dance company doing beautiful work in Seattle — one of my students stopped me and asked a great question — “What is a chamber group?” Ah, a perfect teaching moment. 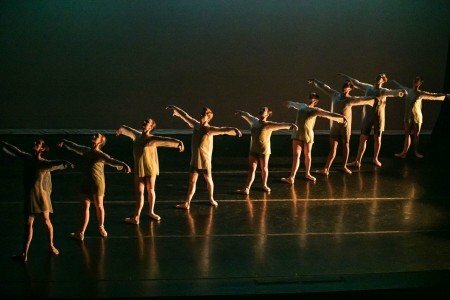 Many perhaps don’t realize that not all dance companies (and symphony orchestras) come in “large.” They may not realize that, or that many composers and choreographers create work for smaller performance numbers. ARC’s 10 dancers are among some of the area’s best and it’s such a pleasure to see them again. This summer’s bill included five ballets new to ARC: Paul Destrooper’s Alchemy of Memory; Palatial Vestiges by Bruce McCormick; Skin of the Sea created by Marika Brussel; Quartet by Wen Wei Wang, and Jason Ohlberg’s Milk and Honey. Good dancers need good material and too often have the unwritten job of elevating sub-par choreography (TV’s show World of Dance is sometimes a good example of this — amazing dancers but at times material that’s not as good as they are). ARC’s Artistic Director, Marie Chong, is mindful of engaging equally minded choreographers who create not just good but great art that is on par with ARC’s superb and experienced professional dancers. Destrooper’s ballet is a neo-classical bon-bon that makes a very nice opener. Palatial Vestiges is of the contemporary ballet palette and challenges both the audience and the cast with its excellent speed and many shorter sections. I loved it! Skin of the Sea begins and concludes with a wonderful wave theme. The dancers stand in fourth position and undulate arms and torsos. Who in Seattle doesn’t delight in sea and ocean imagery? Yet, it’s not too light. There seems to be a serious tone to this ballet. One character is not dressed as the others. 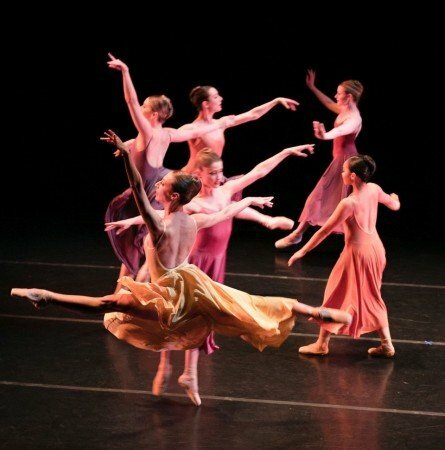 In “color?” (mauve), this dancer comes across as maybe an Ursula tossed and tumbled by the “waves” In music parlance, this ballet is nicely through-composed, with a thread of an idea that goes somewhere. Normally, I am not a big fan of the music of Phillip Glass, but in this case, I think that it worked well. Glass’s undulations and repetitions match and support the dance. I enjoyed the intimacy of Wen Wei Wang’s Quartet. I tend to think of Jason Ohlberg’s work in the modern/contemporary dance box but very much like how well his Milk and Honey fit into ARC persona. It is as sweet as its title suggests. ARC Dance continues to inspire and bring excellent work to its stage. Sometimes, in addition to choreographic bon-bons, a great work is culled and called up, as in Skin of the Sea and Ohlberg’s work that brought the evening to its all-too-soon conclusion.